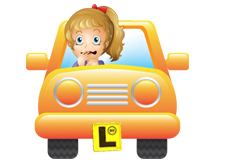 Learn to drive with Licence 2 Drive Driving School Northern Beaches & North Shore. We offer single driving lessons and learn to drive packages aimed at accommodating all budgets and student requirements. 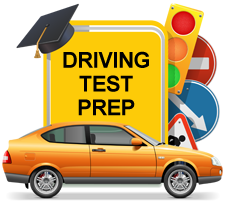 Our driving test preparation and driving test day lessons are perfect for students who have logged the required log book hours but just need to refine their skills to pass the driving test. 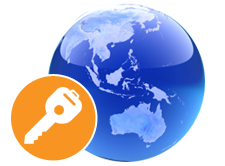 Ask us about the Keys2Drive program, a Federal Government initiative offering a free driving lesson for eligible learner drivers. Terms and conditions apply and we can determine whether you may be eligible. Your driving instructor, Ian Milner, has over 10 years experience teaching students of all ages and skills levels how to drive with confidence and successfully pass their driving test. Every one hour driving lesson with a professional driving instructor equals 3 log book hours and is valid for the first 10 hours of private lessons. Get your drivers licence faster and contact Licence 2 Drive today! Our single lessons are perfect for new students and nervous drivers who are trying driving for the first time. 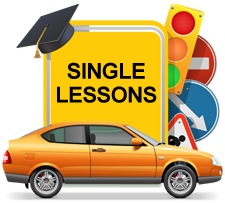 Single lessons also suit people looking to refresh their driving skills or convert from automatic to manual. Our driving test preparation includes a two hour driving lesson, where we give you all the tips and advice required by the RMS requirements to pass your driving test. Our driving test day option includes a one hour driving lesson before your test plus use of our car for the driving test. Includes student pick up and return after the test. Our 5 driving lesson packs add 15 hours to your logbook. 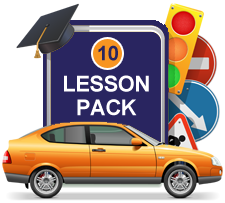 Our 10 driving lessons pack adds 30 hours to your logbook. 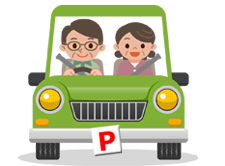 This heavily discounted package is perfect for students who want to reach the full driving instructor hours of 30 hours (1 driving instructor lesson = 3 normal driving hours). 20 Lesson Pack – $1,200 (save $270). Includes use of our car for your test. Our 20 driving lessons pack offers an enormous saving of $270. This will add 40 hours to your logbook, ensuring you reach the full driving instructor hours of 30 hours (1 driving instructor lesson = 3 normal driving hours). The additional lessons help students get a strong grasp of driving rules and regulations. It is perfect for nervous drivers who want to gain the skills to confidently manage all driving conditions and circumstances. Overseas drivers are permitted to drive on their international license whilst on a Visa once becoming a permanent resident certain countries are not eligible for a license transfer and are required to take the knowledge test and driving test within three months of the date they became a permanent resident. Our driver instructor, Ian Milner, has over 10 years experience teaching students of all ages and skills levels how to drive with confidence and successfully pass their driving test. So, no matter what your age, don’t worry – Ian will teach you the skills required to expertly navigate our busy roads and confidently pass your driving test. Got a question about our driving instruction services? We are happy to answer any questions you may have regarding our driving lessons, packages and safe driving services.